Your identity-motives-control atmosphere is what is responsible for using your-personal-identity to put your-motives under your-self-control. Where did you get your atmosphere? You got your atmosphere from your verbalization. Remember what you verbalized? Here it is. You said "walk in your-personal-identity, based in your-motives, all girded by your-self-control." The good consequence of your verbalization is your identity-motives-control atmospheric presence. 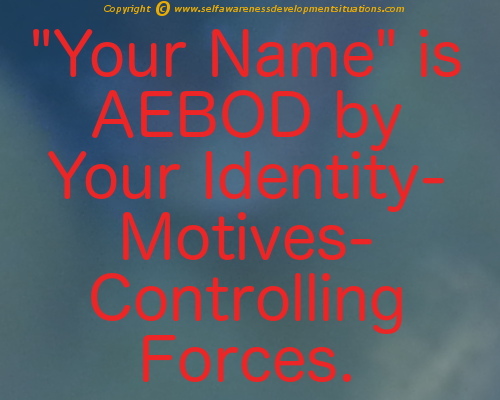 Your identity-motives-control atmosphere now has your combined forces. This means you use your-personal-identity to put or subject your-motives under your-self-control . 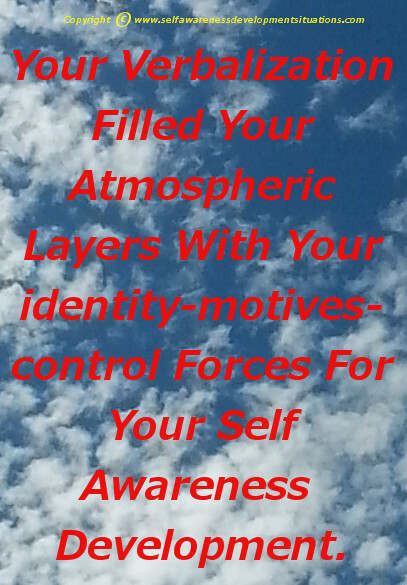 Your identity-motives-control atmosphere contains influencing and supporting forces. Your motives control atmosphere has factors as illustrated below.